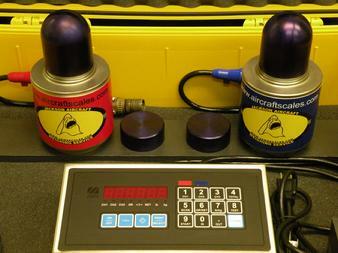 This aircraft scale kit is for jets like the B727, B737 and can also be used on the 319 and 320. 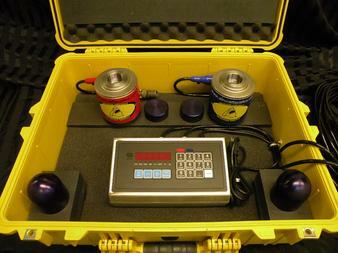 Aircraft weighing equipment consists of three 100,000lb cells giving the user a 300,000lb total aircraft scale system. One inch top of jack mounting is standard, 2.5 inch mounting as well as over the top ram adapters are also avalible seperatly ordered. 737 view on the M2000-3-250CS system, this aircraft was weighed in less than 50 minutes and that included the scale and jack set up. 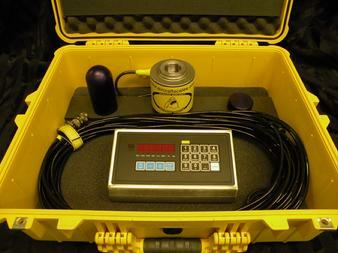 Easy locate jacks, light weigh system, makes for an easy job which saves labor and increases production time. Easy placement directly under the axle jack point, no wing jacks needed nor the hassle of a platform with ramps and tugs needed. Boeing large jet aircraft scales are available in several configurations. 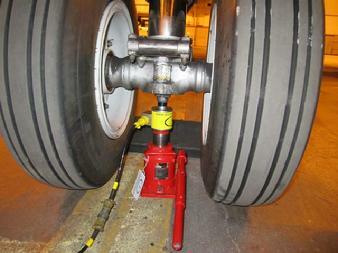 We offer aircraft weighing equipment with flexibility to axle weigh as well as wing.fuselage weigh your aircraft. Three point aircraft scales for basic weighing, Four point airplane scales for wing, forward and aft weighing, and five point aircraft scale systems for underaxle applications or primary and secondary weighing or shoring/jigging operations for repairs. M2000-2-100CS Main axle set, can be used for 737 or larger aircraft, if 5 cells are needed just order two kits, one for the R/H and one for the L/H sides, add the nose kit and your set. Boeing nose axle kit can be used under axle or for the forward side jack point. Below find an example of our 787 weighing kit, we provided Boeing with production line kits for weighing and jig fitting of the aircraft for modification on the production line. 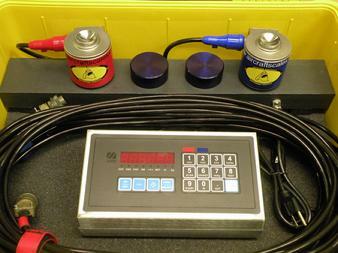 This kit features several aircraft scale adapters and jack adapters for interface with the new fuselage jack points. We custom manufacture adapters and jack points as well as jack adapters to meet your specification and requirements. 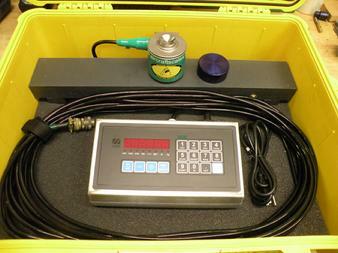 787 Main fuselage weighing kit with ships adapters for fuselage socket type jack points. Boeing large jet ships adapter installation. This if for the fuselage application, also show are the 2.5 inch jack adapters next to the cell. Ships adapters for the 787 installation are shown with the kits on this page. In addition we can configure our kits for standard cups on top of the cells so that the kits can be used for socket or standard jack point use depending on the aircraft type. 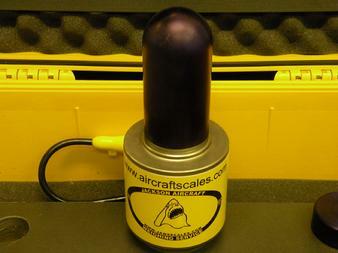 Please call us with your specific aircraft type and we can supply you with the right tool for the job. 787 tail kit, 100,000lb with tall ships adpater. 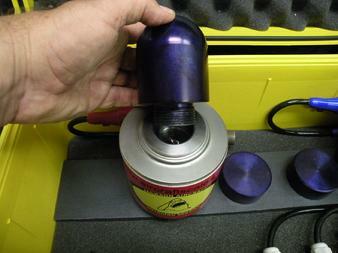 Tail ships adapter for 787 aircraft can also be used for the other Boeing jets using this type of jack point. Call us with your needs and we can supply the correct adapter for your aircraft type. 787 nose kit, single cell 50,000lb 2.5 inch mounting. Nose wheel axle cells are available in small format or large format cells. Shown here is the small format kit for clearance.